Parenting is tough enough here on Earth. Imagine being the parent of a toddler confined to a modular Martian habitat on the dusty plains of Tharsis. You are many millions of kilometres away and absolutely isolated and alone. With nary a “jungle gym” in sight, could human parents on Mars cope with the stress of raising kids in such an alien environment? Because there are not yet any hard and fast answers to such questions, it came as a shock to many that just last week a young British astrophysics student said she hoped to become the first Mars mother. Maggie Lieu, a 24 year-old student at the University of Birmingham in the U.K., told Britain’s The Independent newspaper that she thought it would be “really exciting” to give birth to the “first real Martian.” Lieu was selected to a shortlist of 100 astronaut candidates for the privately-funded Mars One initiative; billed as an attempt to set up the first human Mars colony. Humanity has fantasized about moving offworld since time immemorial, or at least since we realized we were part of something much larger than just this rocky sphere. But there are also real ethical, legal, biological, sociological and psychological considerations at play. “There’s been quite a lot of work on microgravity effects on fetal development and the news isn’t promising,” said Sheryl Bishop, a social psychologist at the University of Texas Medical Branch at Galveston, who has been involved in researching extreme environments as space analogues for more than a quarter century. She wonders if the intent to be the first to conceive on Mars is even “ethically responsible.” “We don’t know what the impact of partial gravity would be, but evidence from microgravity strongly argues against pregnancy and post natal development without significant problems and risk,” Bishop told Forbes. Although Bishop recognizes that humans will eventually procreate on the Red Planet, in the short term she remains skeptical. And initially she thinks that longterm Mars crews will need to enforce strict policies to prevent unplanned pregnancies. 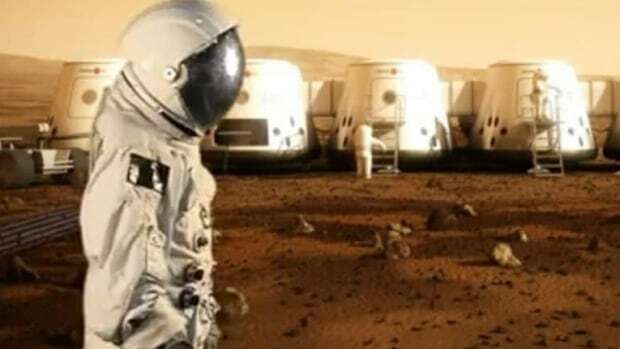 If I were sponsoring initiatives that actually succeeded in sending humans to Mars, says Bishop, then one of the initial requirements would be to insist that all crew members submit to sterilization. Genetic banking of crewmembers’ sperm and eggs would be an option to preserve these individuals’ reproductive rights, she notes. That way, Bishop argues, the capacity for bearing children could be preserved until more is known about reproductive risks on the Red Planet. The first human beings to establish the first human colony on Mars have already been born. In any event, Bishop cautions that future humans on Mars shouldn’t attempt to procreate without first installing an infrastructure to handle all phases of the process — from conception to post-natal care. She even notes that one “fix” for the issue of pregnancy in a reduced environment may come in the form of an artificial womb that would recreate an Earth-like gravitational environment. Instead, the uncomfortable reality, says Bishop, is that in a closed-loop environment, the right to bear children is one of the many individual choices that will have to be decided by a larger group. This, she says, is a fundamental reality that people don’t think about when “waxing lyrical about colonizing” the Red Planet. “It may be unethical not to favor reproduction of those with the most robust genome; raising fascinating issues with selection of both parents,” said Bishop. “Your significant other might not be the best fit.” But assuming that humans will eventually begin procreating on the Red Planet, one must wonder if there would be a return option for Mars-born children? And if so, would Mars babies have trouble readjusting to Earth’s full gravity? And would Martian-born babies be able to legally move back to ancestral Earth? 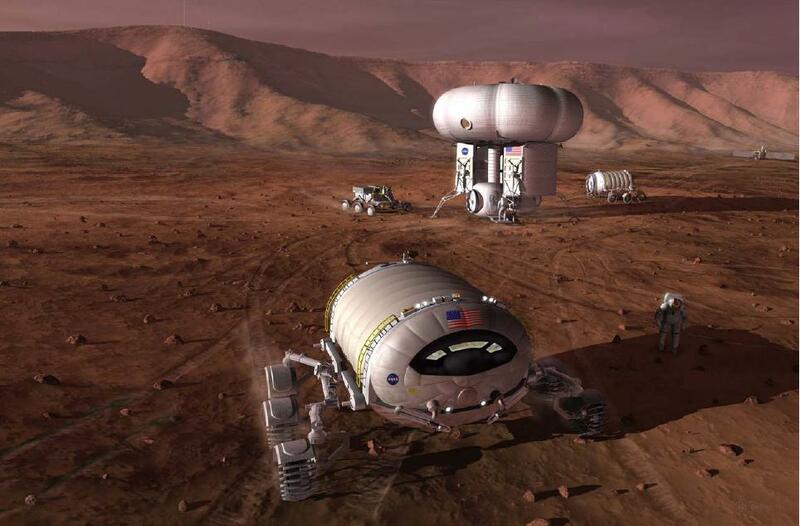 Frans von der Dunk, a professor of space law at the University of Nebraska-Lincoln, told Forbes as long as Mars colonists have not established their own state they presumably would retain the nationality of their terrestrial home country.